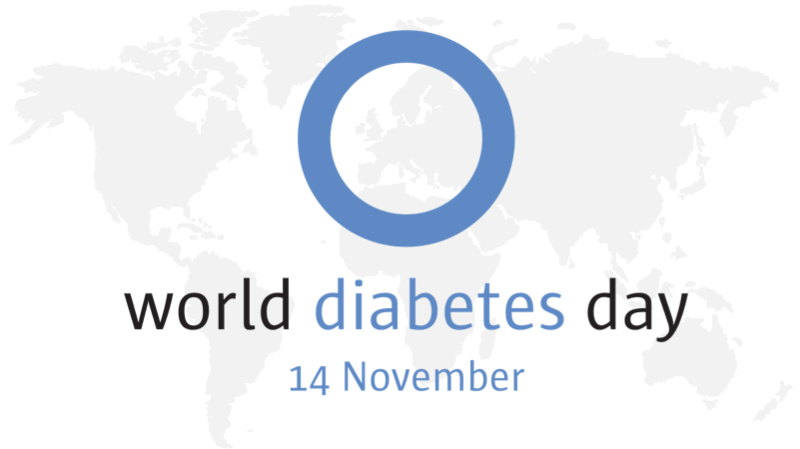 November 14 is World Diabetes Day, the world’s largest diabetes awareness campaign. This campaign aims to draw attention to and raise awareness of the disease and its effects. International Diabetes Federation (IDF) uses the World Diabetes Day campaign as a platform to promote advocacy efforts and the importance of taking coordinated actions to confront diabetes as a critical global health issue. Diabetes is a condition in which your body does not correctly process that food that you eat. Most of what we eat is turned into glucose, or sugar, and our bodies use this for energy. After your body converts your food into sugars, your pancreas is supposed to release insulin. Insulin is used as a signal to open your cells to allow the glucose to enter and then be used for energy. When someone has diabetes, however, this system does not work properly. When you have diabetes, your body either doesn’t make enough insulin, or it can’t use its own insulin as well as it should. There are two main types of Diabetes, Type 1 and Type 2, but other forms exist as well. In the last 20 years, the number of adults diagnosed with diabetes has more than tripled in America. According to the International Diabetes Federation (IDF), diabetes affects 371 million people worldwide and is a leading cause of blindness, kidney failure, amputations, heart failure, and stroke. The physical consequences of diabetes can impair one’s mobility due to sensory problems, circulatory problems, motor problems, and more. Even the psychological consequences of diabetes, such as self-confidence, can have an impact on mobility as well. Suffering from mobility difficulty caused by diabetes can present an emotional, physical, and financial burden on you and your loved ones. The SmartScoot mobility scooter aims to lighten that burden by making daily tasks that were once a struggle a stress-free part of your day. This compact, lightweight folding scooter is perfect for those looking to maintain their active lifestyle. SmartScoot allows you to easily take it along with you in the car, on planes or even cruise ships. Although smaller than a full-size power chair, SmartScoot is heavy-duty and has an incredibly sturdy design. Your mobility difficulty will no longer hold you back from traveling, spending time with your loved ones, or simply running errands with the SmartScoot mobility scooter. Contact us now to answer any questions you may have about the SmartScoot folding mobility scooter and how it can lend you a helping hand in your day-to-day activities.